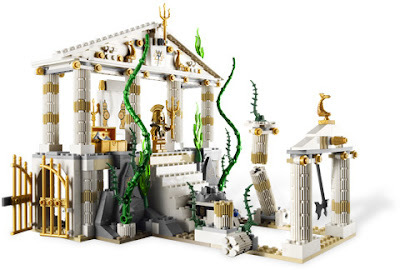 come with an atlantis temple ruin. 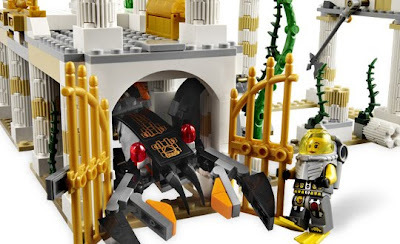 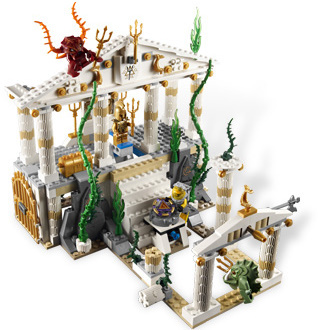 the temple has a swinging axe, a dungeon, falling pillars and booby traps. 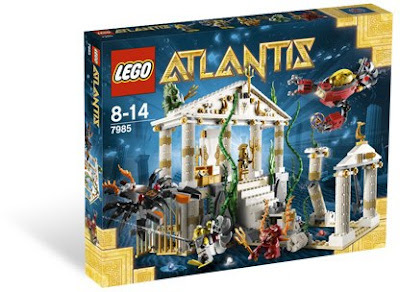 included a collectable atlantis treasure key, 6 tridents and 2 harpoons. 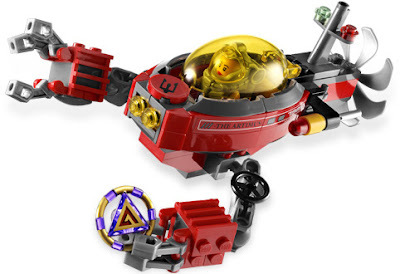 also included a deep sea submarine with flick missiles and claws and a giant brick built crab. 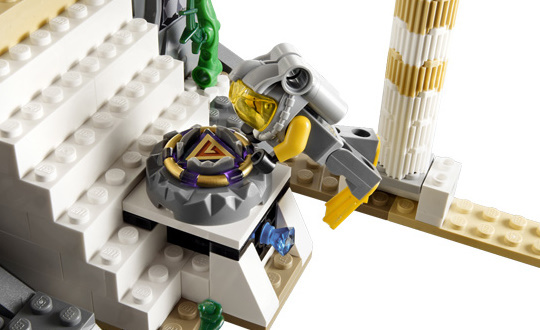 the atlantis treasure key come with purple color. 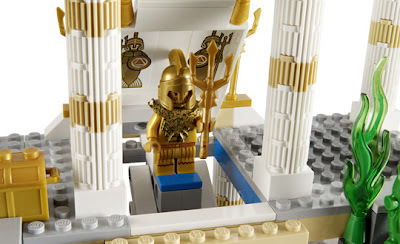 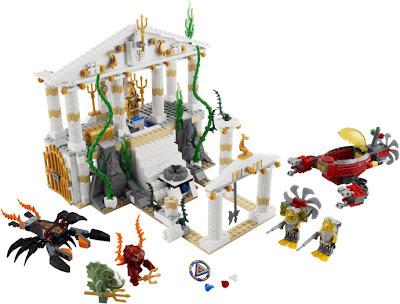 minifigs included a golden king minifig, a lobster guardian minifig, a barracuda guardian minifig and 2 diver minifigs.